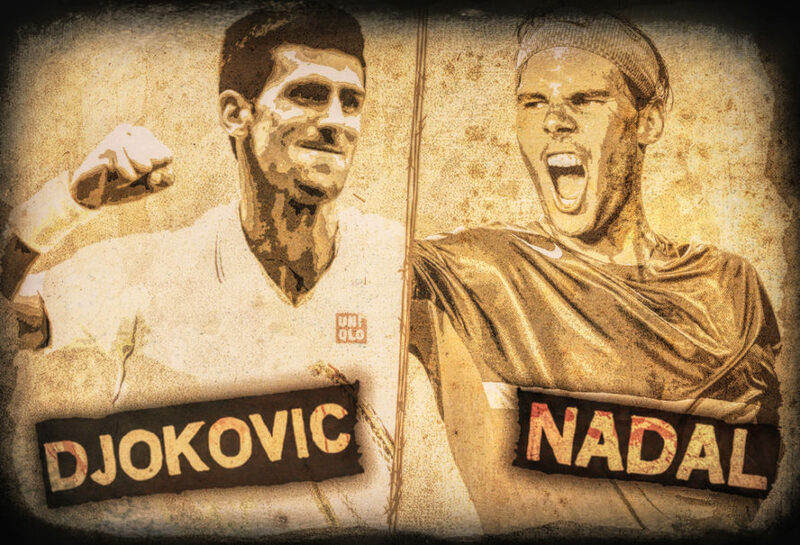 Tennis fans are in for a treat, as the storied rivalry between Novak Djokovic and Rafael Nadal will be re-ignited this weekend in the finals of the Australian Open. Djokovic, seeded number one, crushed Frenchman Lucas Pouille in straight sets in their Australian Open semifinal to move on to the finals against Nadal. Djokovic faced little resistance from Pouille, seeded 28th, chalking up a dominant 6-0, 6-2, 6-2 victory. Seeking his 15th Grand Slam title and a record seventh Down Under, Djokovic took just 23 minutes to wrap up the first set against Pouille, who was obviously overwhelmed in his first semi-final appearance at a Slam. Pouille finally registered on the scorecard at the start of the second set, but it was merely temporary respite as Djokovic, 31, soon broke him again as a clearly shaken Pouille gifted him a game with a double-fault. The third set proved similarly straightforward as Djokovic took it 6-2 to set up the Sunday showdown with Nadal. Djokovic has never lost a final in Melbourne. He currently sits level with Roger Federer on a record six titles at the venue in the Open era, but will now have a shot at becoming the outright record holder. However, Nadal, 32, himself has been in blistering form in the searing Melbourne heat, not dropping a set on his way to the final and dismantling rising Greek star Stefanos Tsitsipas in their semifinal on Thursday. We’re HustleTweeting about the Australian Open, and you’re more than welcome to join the conversation on the Hustle Twitter HERE and also on our hyper-interactive Facebook page HERE!